Norm Jurrawaa Stanley is a Kurnai / Wotjabaluk musician, artist and storyteller who was born on and still lives, works and plays on Wathaurong Country. He is a proud father of 5 children aged 22 to 11 months old. He has worked in many areas, but teaching his culture is his passion. Norm follows in the footsteps of his ancestors by sharing the stories of land, life and culture through the many different art forms he practises. Ngioka Bunda-heath is Wakka Wakka, Ngugi from Queensland through her Mother and Biripi from New South Wales through her Father. Ngioka completed her Advanced Diploma in the Performing Arts. Majoring in Dance at the Aboriginal Centre of the Performing Arts in Queensland. Casii Williams first came to national attention with 2017’s soulful How Can I, which featured on the Desert Divas Vol 2 compilation, was played on triple j and went to number #1 on the AMRAP national radio charts. Madison are Sharnae are both students at the Aboriginal Centre for the Performing Arts in Brisbane. Most recently have performed with Bangarra Dance Theatre in the Opening Ceremony for the Gold Coast Commonwealth Games and the in opening for Creative Generation 2018. 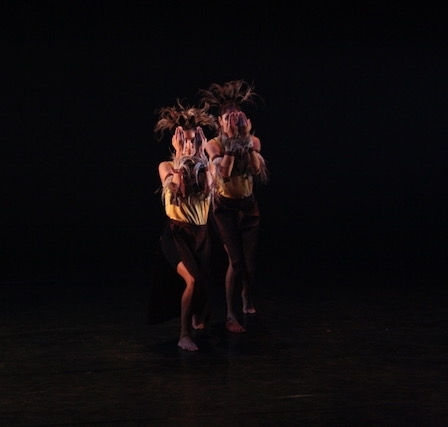 Under the direction of Wiradjuri dancer Jo Clancy, Wagana perform contemporary and traditional Aboriginal dances inspired by the landscape and creation stories of the Blue Mountains and Central NSW West country in Australia.